Welcome to episode 69 of the Photography Marketing Masters podcast. There’s a fun show in store for you today, as I talk with Josh Rossi about his experiences in the commercial advertising photography business. To many of us, the world of commercial advertising photography sounds mysterious, exciting, challenging, or even downright scary, and I’ve often wondered what it would be like to work in what looks like a fast-paced, ruthless, business arena. And what does it take to get into the business, let alone become successful as a commercial advertising photographer? To help answer these questions, and more, I invited Josh Rossi to join me for a packed 30 minutes to talk about his experiences. With me on today’s show is Josh Rossi from Los Angeles in sunny California. 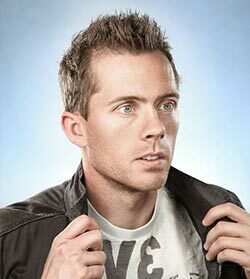 Josh is a very accomplished and successful commercial photographer who specializes in composites for advertising. With an impressive client list, Josh has made a great impact in the world of commercial advertising, which we’ll be talking a little bit more about today. Not only is Josh well-known for his commercial photography, he also runs his own great podcast at The Full Time Photographer.